NICK VAN BREDA | If you can dream it, you can do it! Welcome to my website! Perhaps you know alot about me already, if not let’s give you some heads up below about my life and career as from misfit, activist to practivist also referred as changemaker, or in business terms (serial) social entrepreneur. …That I have spoken internationally on Innovation, Science & technology conferences in Brazil, San Francisco, New York, Spain, Austria & Portugal so far. About the future of work, health, labor, banking, living, organizations and education. Pinpointing where micro-communities are shaping society towards, from transhumanists and biohackers towards digital nomads and conscious world citizens. …I have organized and helped 50+ hackathons create innovative solutions for SDG’s, business challenges, schools, municipalities and the Ministry of Education since 2014. 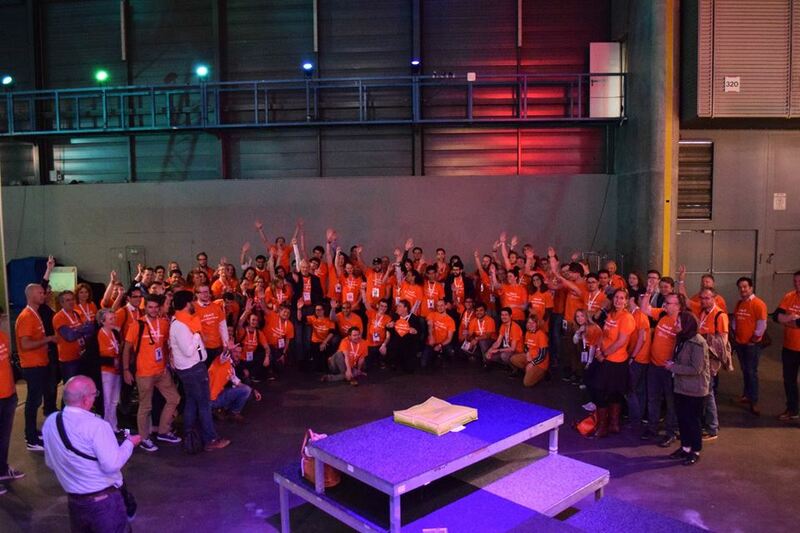 Check out my biggest hackathon event on Eduhack.nl & 27 hackathon challenges that I have coordinated on Campus Party Europe in the Netherlands where 1650 people from 52 nationalities worked together on SDG’s for one week. Want to know which challenges click here. …I have directly coached over 30.000 people, indirectly around 80.000 to date since I quit video gaming in thinking about how they could make an impact in society while following their passions and strengths. That is on average 16 or 46 individuals a day. Ever stuck with a question regarding your life, perhaps I can help you out! Definitely, check out my toolkit4Change if you are wandering now. …I lived together with 400 refugees/non-statusholders from October 2016 until October 2018 in an asylumseeker centre called Plan Einstein, an award-winning concept where 15 stakeholders help both formally and informally to integrate people with a traumatic background/out of war-situations on a human-way, creating equality by offering free classes in Entrepreneurship, Business English, Dutch and many more activities like neighborhood festivals, cooking and singing together and learning how to bike. Please do visit us before 1 November 2018 as the project will end then and will continue elsewhere upcoming year (2019), everyone can participate in making the lives of the less fortunate better! …I have spoken on over 25 conferences next to giving 2 TEDxTalks about overcoming my video game addiction, pursuing a purpose and creating leadership to tackle SDG’s with serious games. Check out my TEDxtalks via bit.ly/TedxNick & bit.ly/TEDxNick2. It definetely describes how I have become who I am now. Underneath a video portrait and blog about my life in Dutch made by MaatschapWij. Below you can find more activities I have done professionally. You can take a look at some of the presentations I have given as a speaker, innovation consultant, and trendwatcher. The foundations I have helped set up locally, the schools I have helped in changing their curriculum and way of working with students and stakeholders, plus several projects like setting up an escape room for primary school with new technologies. This by co-hosting Permanent Future Labs to enable more people to start working with technology. Hosted technology inspiration shots to inspire both participants and personal working at the province Noord-Brabant to change mindsets towars possibilities today. Showcased how everyone can start with building their own prototypes with 3D printing, how everyone can train meditation and reduce stress using EEG (Brainwave sensors) connected to a drone and how to overcome fears with VR like fear of heights. Many of today’s consumer technologies are perfect solutions for problems in many industries, from further personalizing education or healthcare towards re-imaginning the photo industry with 360 footage. 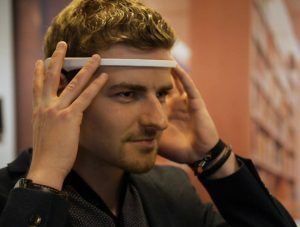 500 people enjoyed while playing with technology and some of them are now taking action in using EEG scanners for improving healthcare for handicapped people. Was part of the external advisory board of the Aventus Leert Inspireert annual event to setup a one day training for all employees of MBO Aventus. Trained several teachers in a train the trainer course before the event for organizing hackathons and facilitating the design thinking process this training and the organization of Aventus Leert was provided by Nick van Breda Consultancy together with STUDIO.WHY. I took the role of trendwatcher in the serious game we organized for 800 of Aventus employees and together with 50 facilitators we were able to let all sectors within Aventus work together on 4 education challenges collected by the AMT. 130 teams enjoyed this serious game and at the same time were able to solve their own challenges and the 4 best teams for each challenge was able to pitch a solution on the end of the day. Challenges were: how to make sure the school and it classrooms stay clean, how to make sure the school becomes future proof with technology and new learning materials, how to make sure the learning environment becomes better for everyone and how to get rid of the YES, but… culture in school, turning it into YES, and.. the winners are granted time and budget to further implement their outcomes. Other teams can work on their outcomes as well and ideas are taken into consideration by the school directors. Hackathon for students and teachers to solve cases from a local theatre and the municipality. Together with 40 persons we hacked 3 cases and offered a 1 day training (valued 1500 euro) in further coaching the development of the concept to make the Theatre attractive for Misfits to start their performance career with the use of all facilitaties freely provided by Podium Gigant. Check out the aftermovie of Hack je Plek, October 2017. Supported the Innovation Games Gelderland in technologysupport, including bringing in over 60 technologies, mentors and tech makers to support teams in building their first prototypes resulting in the winning team that made a prototype with our support. Check out the aftermovie of de Gelderse Einsteinweek, September 2017. Organized a hackathon to improve the quality of future proof education for the Processtechnology course. Reducing 40% of students that lack motivation to finish school after working in (now) completely automated factories without work for production employees anymore. Outcomes of April 2017 are still being developed and turned into new lesson materials. Check one of the final pitches to create an escape room learning environment. Gave a pitch training and finishing keynote on WhatTheHackathon 2017. ‘Het Geheim van de Monnik’ is an escape room built together with the Religieus Museum Uden to train 800 primary school students in Literature and new media. I took care of project managing the new media part with design expert Luc Thijssen. We implemented VR, AR, QR, Gaming, literature but also math and storytelling in this temporary Escape room from February to June 2017. Searched for a partnership with Erasmus for Young Entrepreneurs to work on my iCity Tender project Stamboom. Erasmus for Young Entrepreneurs was so enthusiastic about my experience and knowledge about changing education that I was invited to be the first host that has a business less than 3 years registered plus they asked me to host a mini-hack and give a keynote on the annual Erasmus LEO-NET consortia conference in Barcelona, March 2017. With a team of 5 people, we ended up winning 4 prizes including the overall prize and the public prize on this massive Dutch Open Hackathon with 300 participants between 9-11 December 2016. As a result, we started the startup “Find It, the Pokémon Go for lost and stolen items”. We are still developing Find It and looking for launching partners in 2017. Helped with the marketing and program of Donders Education hackathon, over 30 Phd students and graduates participated in November 2016 with amazing results. Check out our pitch here. After my TedxTalk & my scientific research presentation, I got the opportunity to speak for an agency for young ambitious leaders in the Netherlands. 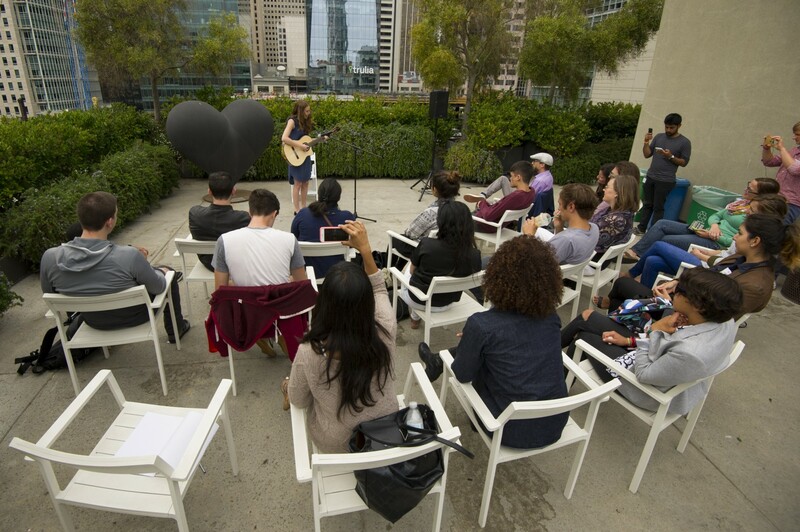 With Wiseass Agency every element of speaker events can be done for organizations. Helped with organizing the first European Campus Party edition in the Netherlands including coordinating 25 hackathons & organizing the biggest European Education Hackathon ever with over 200 attendees and 65 hackers plus a Climate Hackathon. February 2016 – June 2016. Campus Party attracted 1500 Campusero’s (week stay camping visitors) & 8500 day visitors. Check out educationhack for our upcoming editions. Feel free to participate in hacking Education. Building the biggest NGO Startup & (Social) entrepreneur communities across the world further with writing interesting articles, guiding startups, from misfits to rebels and drop-outs through organizing workshops or impact events. Everything to encourage people to stand on their own feet and start businesses out of own beliefs and passion. Pressure cook for businesses and students to solve business cases within 4 to 6 hours. With teams of 4-5 multidisciplinary students and Studio Doon Innovation Cards they learn how to work with a Lean Startup Method while they are helping a business further in finding new business models or a modern strategy approach. Together with 15 ambitious youngsters from Uden and Veghel we set up RUUW. A local initiative to support and thrive forward local entrepreneurship. We do this by activating the community and organizing 3-4 events a year for the age group between 18-35-year-old. After organizing several events a new group of young entrepreneurs approached me to join Misfits and currently 40 entrepreneurs arranged themselves a homebase in the city centre of Uden thanks to a collaboration with Rabobank and Gemeente Uden.